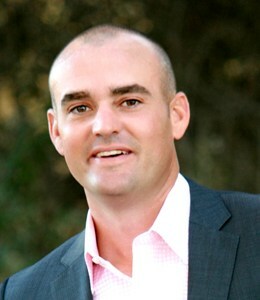 Trey Martin brings over ten years of selling real estate in the Phoenix area market. He has distinguished himself as a top-producing agent specializing in the luxury home market, while experiencing incredible success in the investment and professional athlete representation arena. Year after year since 2003, Trey has achieved being a multi-million dollar producer and continues to be ranked among Arizona’s top agents. Prior to selling real estate, Trey played professional baseball and golf for just under ten years. In 1995, he was drafted in the eighth round by the Montreal Expos as a pitcher. Upon exiting professional baseball, he proceeded to play five-years of professional golf on various tours throughout North America. Today, Trey continues to play competitive amateur golf throughout the United States. His sports background positions him to understand good a good work ethic, and the drive that it takes to succeed at a high level in real estate. Under his leadership, he has developed a very successful “Professional Athlete Division” within his team.